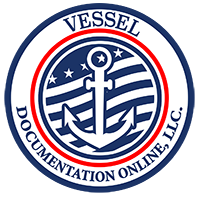 I CERTIFY THAT THE RECITATIONS CONCERNING THE VESSEL: NAME, TONNAGE, DIMENSIONS, PROPULSION, OWNERSHIP, HAILING PORT, RESTRICTIONS, ENTITLEMENTS, REMARKS AND ENDORSEMENTS CONTAINED IN THE CERTIFICATE OF DOCUMENTATION REMAIN ABSOLUTELY THE SAME. I CERTIFY THAT THIS REQUEST HAS BEEN MADE WITHIN 10 DAYS OF THE ADDRESS CHANGE. Please sign your signature for authorization. If signing on a Mobile device, please use your finger. On computers, please use your mouse. *My card information is not working; I would like to continue my submission and receive a call from a specialist regarding payment. By clicking submit you agree to these Terms and Conditions and the above authorization of payment.